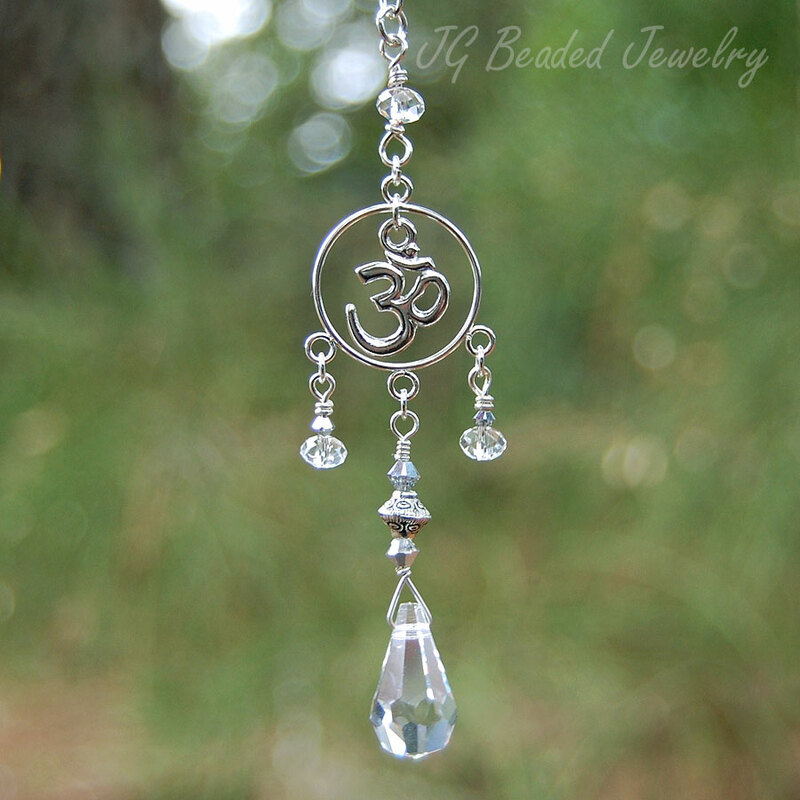 Rearview Or Window Om Decoration! 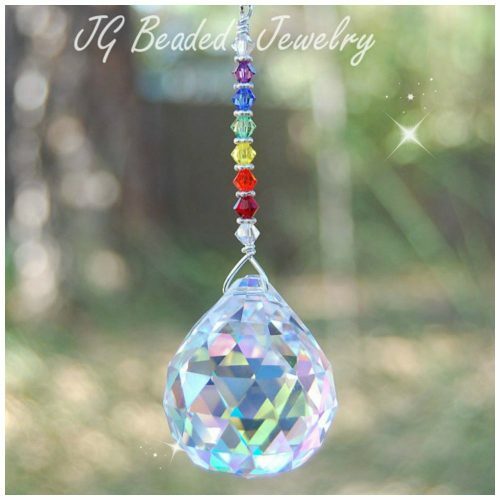 This crystal Om decoration suncatcher can be hung on the rearview mirror, in a sunny window or wherever you choose! 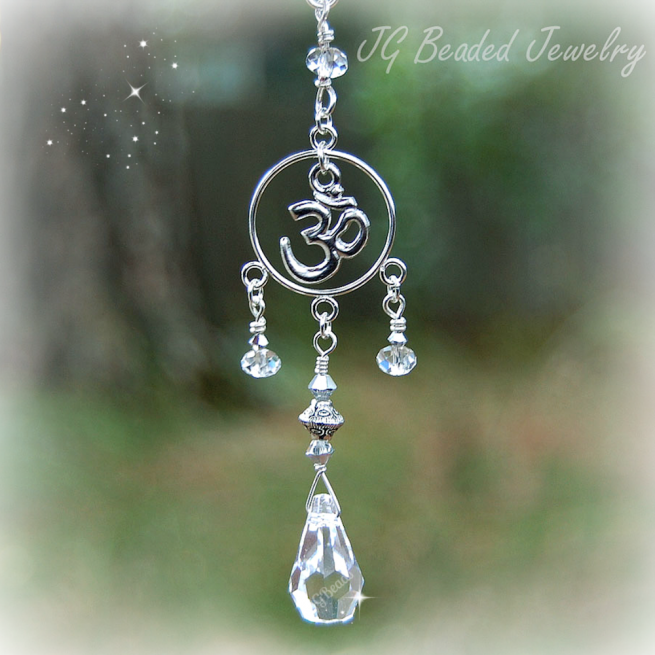 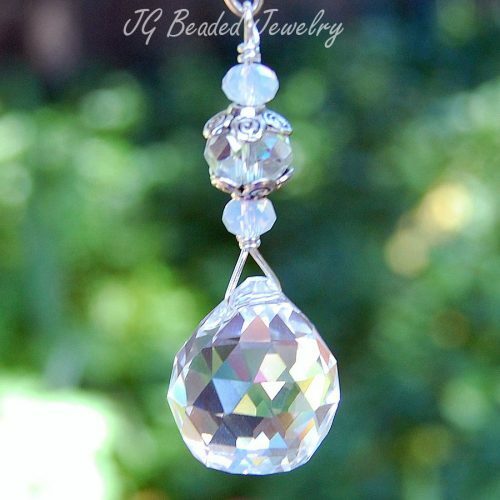 The Om decoration is wire wrapped with a quality silver Om charm, a beautiful teardrop prism crystal, silver Swarovski crystals, faceted clear crystal beads and an fancy etched silver metal bead. 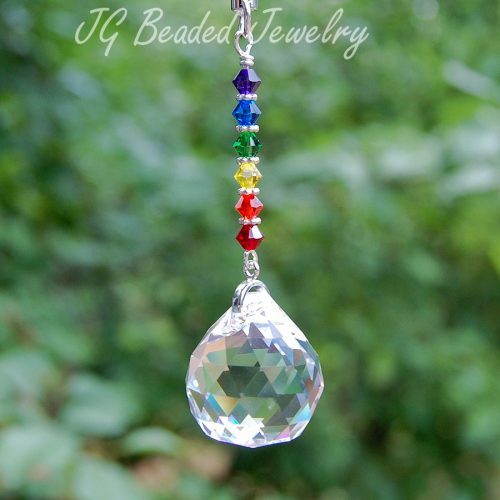 Quality made with love and care for strength and longevity! 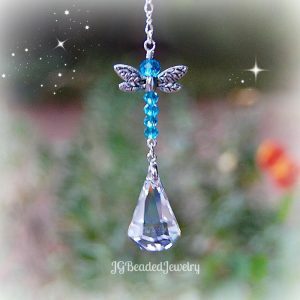 ♥ Other charms may be available (I have many) – just send a message with your request before purchasing.